Does your senior respond in ways you do not understand? Do you worry about their medical care? Do you feel bewildered about all the types of care choices available today? Do all the demands of caregiving make you feel as though you are going in circles? Sometimes it helps to discuss this with a professional. You are not alone. Never before have we had so many seniors and special-needs family members who need our care. Senior Sidekicks has the tools to help you get perspective, learn what questions to ask, learn how to evaluate facilities & MOST IMPORTANTLY, to take care of yourself while you take care of others. FREE 10 min telephone discussion before you decide. 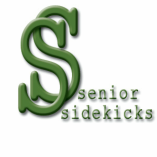 Call Senior Sidekicks today: 217-787-5866. We are here for YOU!